Dave is transformational and visionary, a gifted leader whose thoughts and ideas have shaped our industry for decades - and improved the cow herds of countless operations and the lives of generations of people involved in the cattle industry. He is a bridge between our past and our future, the embodiment of our country's pioneering and entrepreneurial spirit. What a pleasure it has been to now look back and have had the good fortune to maintain an association with Dave for nearly 35 years. Dave is the epitome of the creative cattleman-equal parts commitment to lifelong learning, innovator, entrepreneur, practical scientist, philosopher, and commentator on rural life and civic engagement. He is a delightful person who has provided energy to the beef industry, a positive example to emerging generations of leaders, and a champion of free enterprise. He has never stopped searching for better ways to breed cattle, more effective approaches to management, or more useful ways to serve his customers. Mr. Nichols vision and creative mind has not only driven the success of Nichols Farms but has had a profound effect on the entire beef industry. Dave's unwavering thought process of a "science-based" approach to beef production has been a driving force in many research projects throughout the United States. Many of those research projects engineered by leading universities have forged a strong alliance between science and production ideals within the beef industry. 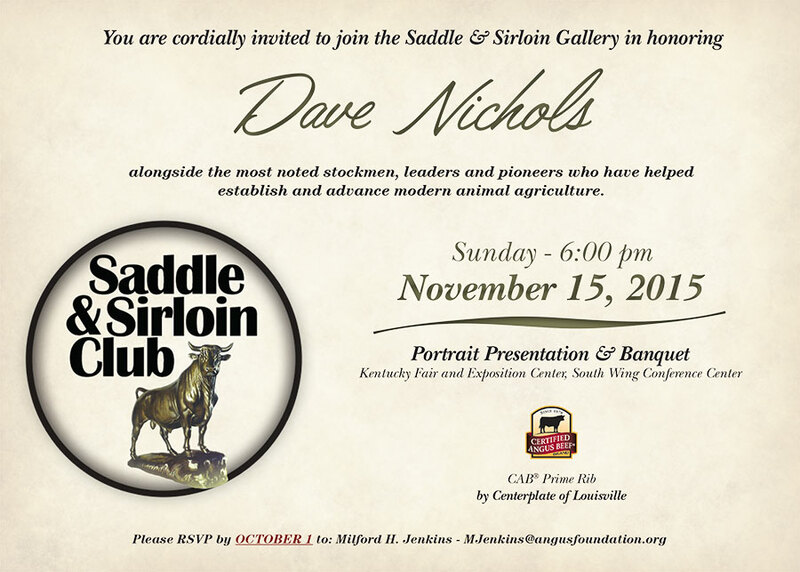 You are invited to attend and join Nichols' family and friends for this special occasion as his portrait is unveiled. Noted artist Richard Halstead has been commissioned for the painting, which will join more than 350 other distinguished livestock leaders in the Saddle and Sirloin Gallery. $60 banquet tickets may be purchased online or by mail. If you plan to attend, we strongly encourage you to go ahead and make your lodging reservations. 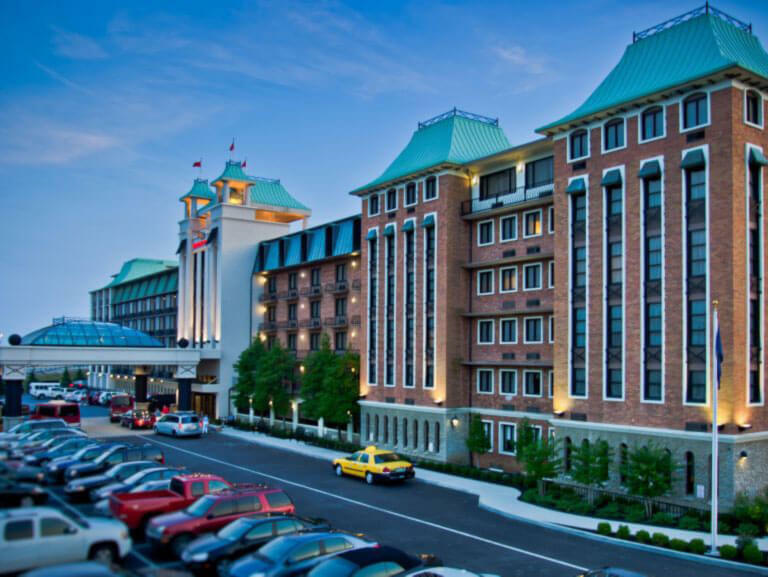 For your convenience, a block of rooms has been reserved at the Crowne Plaza Louisville Airport Hotel. Please call 1-888-233-9527 and ask for room block "American Angus Foundation" that provides for check-in on Sunday, Nov. 15, and check-out on either Monday, Nov. 16 (one night stay) or Tuesday, Nov. 17 (two night stay) at a rate of $135/night (excludes tax).